The following is a selection of articles I have published in ceramics magazines and journals in the past two years. You can click on the image or the learn more tab and it will take you to the article in a new window. In this article, from the February 2019 issue of Ceramics Monthly, I discuss my career in ceramics and the path it has taken me. I think as makers we need to recognize how far we have come, celebrate our accomplishments, and focus on making our best work possible. I interviewed ceramic artists Dandee Pattee and Brian R. Jones for this article and include insight from each. In 2014, I followed my wife back to Gainesville, Florida where she was starting her career in nursing and going to school to get her doctorate. I found a part-time high school ceramics instructor position that was for only one year. That position is now full time, I’m in my 5th year, and we have a thriving ceramics program. Teabowl, Earthen red clay, slips, underglaze, glaze, 2018. 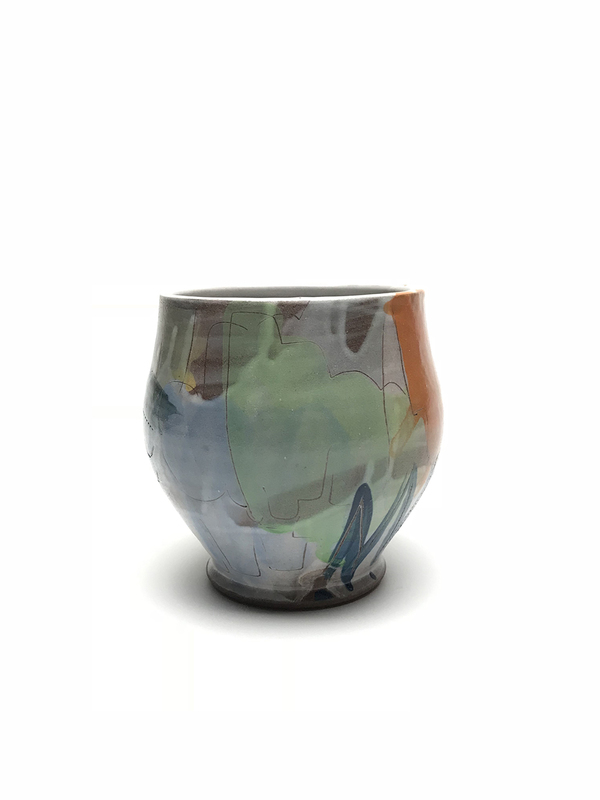 In the spring of 2018 Pottery Making Illustrated contacted me and asked if I would be interested in writing an article describing how I connect form to surface on my pots. I was thrilled! It was published in the April 2018 issue and you can read all about it. My recipes are included in the article, as well as on my process page here on the website.